Wall Street's weakness could hit gains today. The Straits Times Index (STI) ended 1.77 points or 0.05% higher at 3328.6, taking the year-to-date performance to -2.18%. 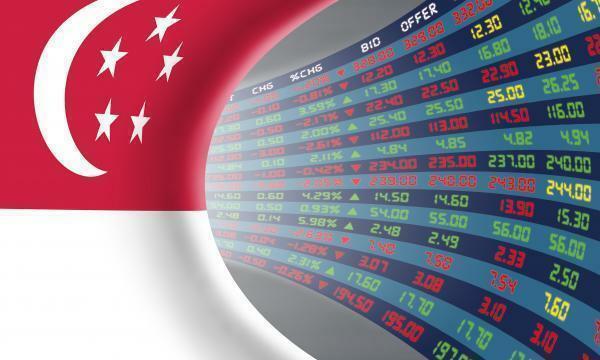 The top active stocks were DBS, which gained 2.53%, Singtel, which fell 3.92%, UOB, which advanced 1.71%, CapitaLand, which slipped 1.53% and Genting Sing, with a 2.33% fall. The FTSE ST Mid Cap Index declined 0.09%, whilst the FTSE ST Small Cap Index declined 0.03%. According to OCBC Investment Research, US stocks closed mostly lower, weighed down by sharp losses in technology shares as Facebook posted its biggest one-day drop ever following disappointing quarterly results. Four out of eleven S&P 500 industries ended lower, led by Information Technology (-1.64%) and Consumer Discretionary (-0.50%) while Utilities (1.14%) and Energy (0.99%) led the gains. "The weakness on Wall Street overnight is likely to spook the local market to a poor start this morning," OCBC Investment Research noted.